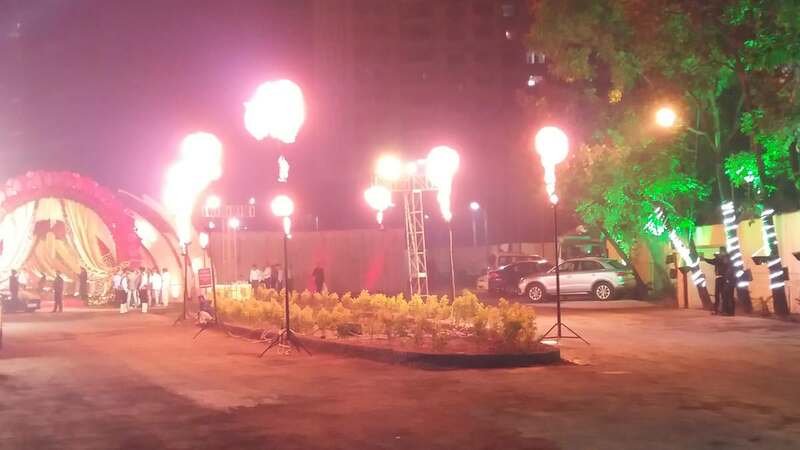 It spreads over the largest area within the premises, it offers a wide spread “Open Air Lawn” covering an area of 1 lakh sq ft that could easily accommodate upto 2000 people at one go. It doesn’t end here in addition you get a 7000 sq ft AC Hanger to boast your list of guests. 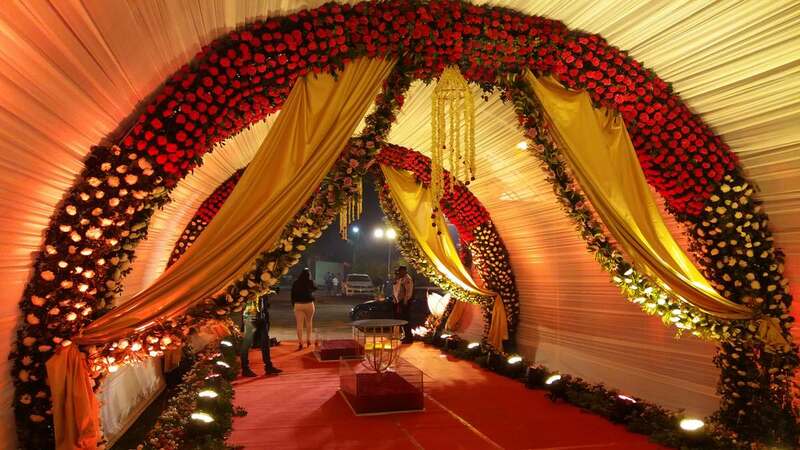 You could treat your guests with live music organized in a corner and make a large sitting arrangement while not disturbing the food arrangements in a different segment. 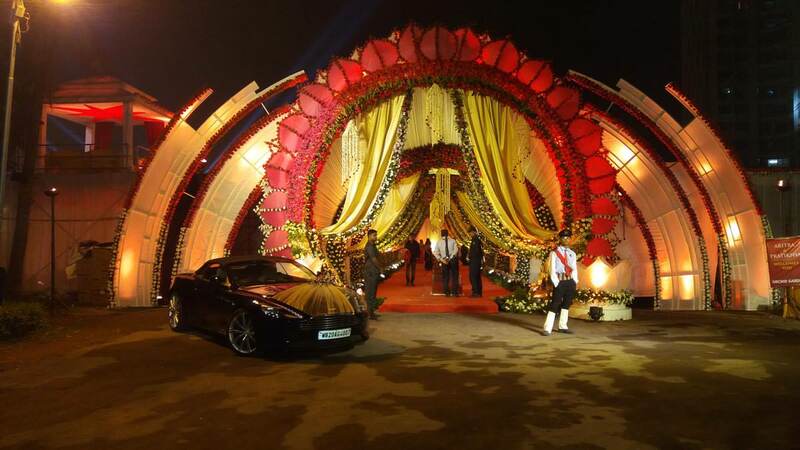 Furthermore with our décor and catering you could let your innovation and creativity display at its best here. 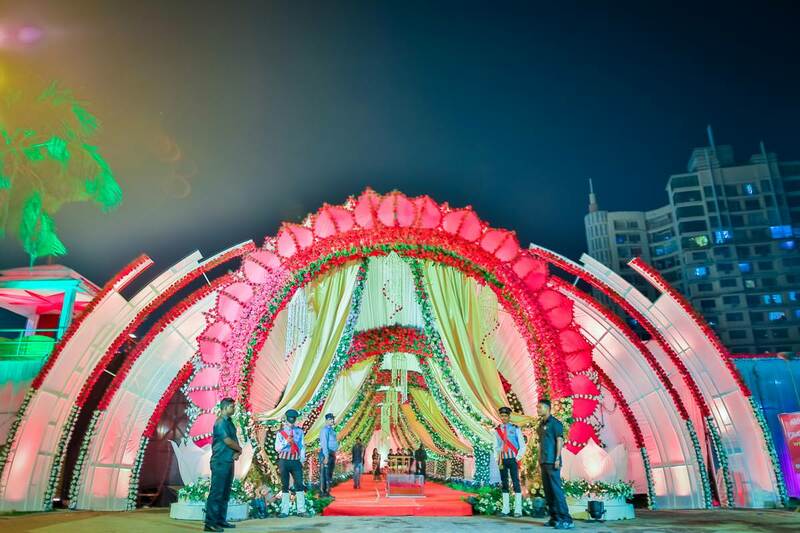 We help you design it to perfection that would not only impresses your guests rather encourage them to compliment you in the most special way. 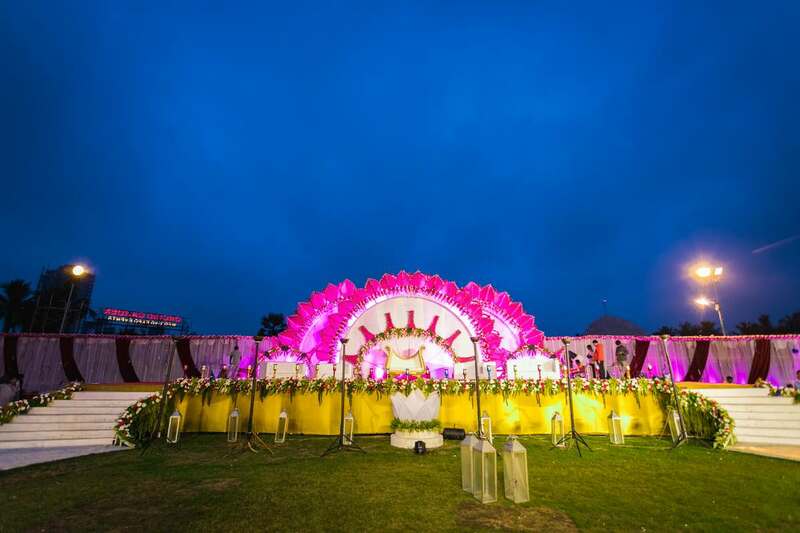 The bride and groom could be well seated on the well decorated additional water platform surrounded by an amazing light works, allowing your guests to come and wish them, while enjoying the food and the music to the best. 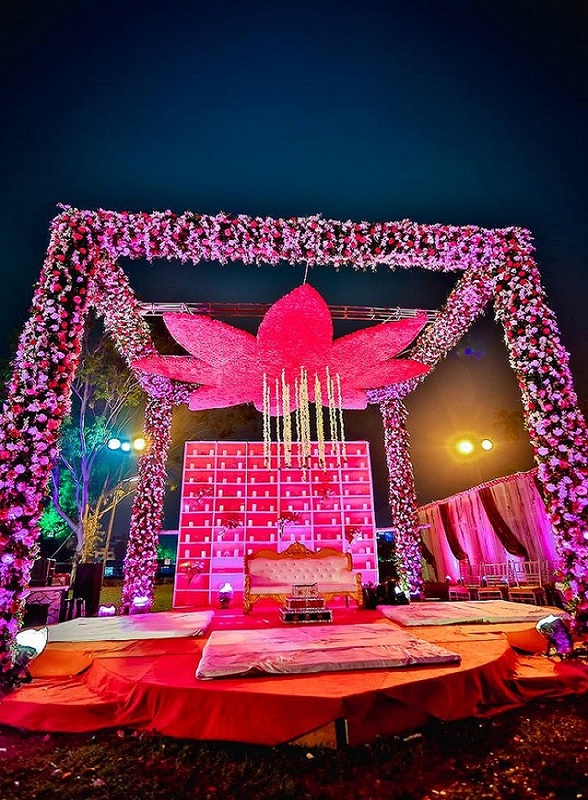 Sangeet, Wedding, Reception, Parties or Bhajans you could utilize the space as per your event. Parking space and a kitchen along with separate rest rooms are few of the additional features of this grand venue. 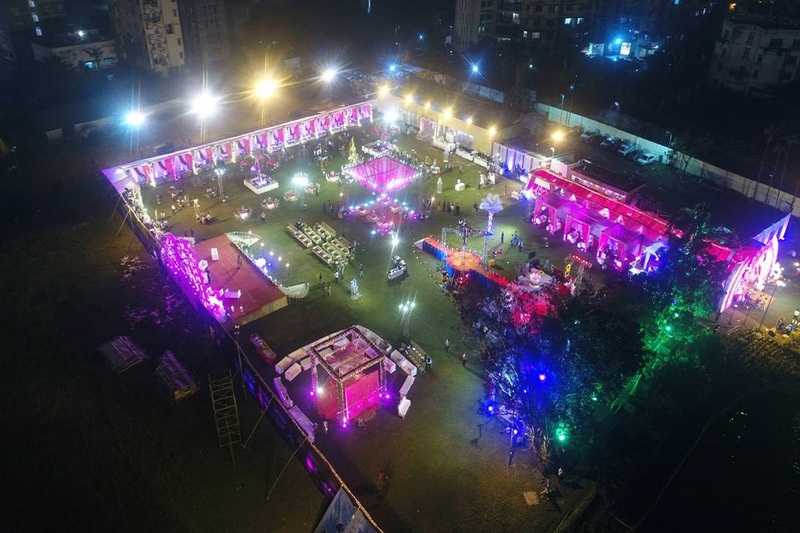 Sangeet, Wedding, Reception, Parties or Bhajans you could utilize the space as per your event. Parking space and a kitchen along with separate rest rooms are few of the additional features of this grand venue. It stands as a pure aesthetic of a unique environment that could easily host a feast for a large crowd. 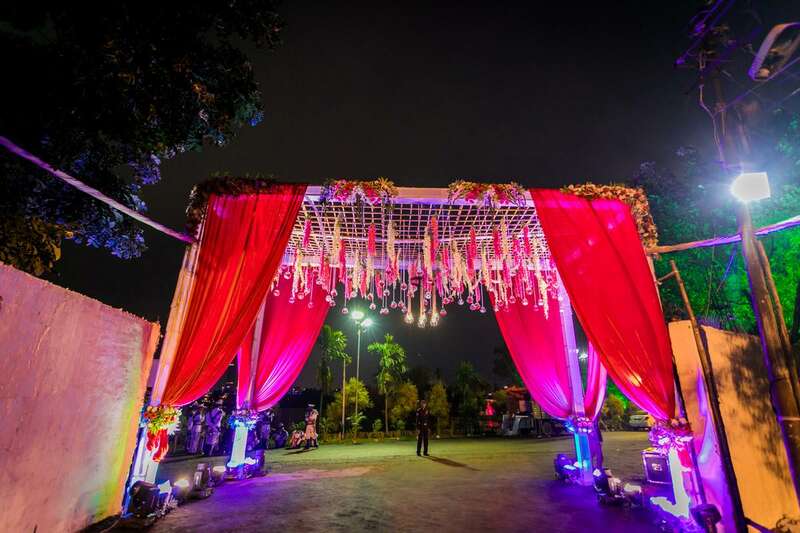 A soothing lake side view and a well maintained garden at the side makes it a perfect venue for any wedding or function.